If you’ve ever used a store bought body scrub that left your skin leaving super soft, chances are you’ve exfoliated using salt. But salt benefits go beyond sloughing off dead cells, and each type has its own unique properties that affect your skin in different ways. Not only can salt be applied topically to pretty much every place in your body, with a few obvious exceptions, but different types of salt come with additional benefits. That being said, once you’ve started exploring different topical uses of different salts, you’re likely to keep the table salt for cooking and the fancier salts for your bod. Salt has dressed up our food for some time now, but it alsohas a lengthy history of dressing up wounds. According to thispublished article in the National Library of Medicine, salt’s antisepticproperties are potent and gentle, which means it can clean your skin without stripping the natural oils that protect the skin from dryness. Saltcleanses while enriching the skin’s health by balancing oil production, healing wounds, and circulating sluggish skin cells — and thereare plenty of nutrients involved in non-iodized salt like calcium, potassium,and magnesium. If you’re looking to experiment more with salt in your beauty routine, these six recipes are an excellent place to start. 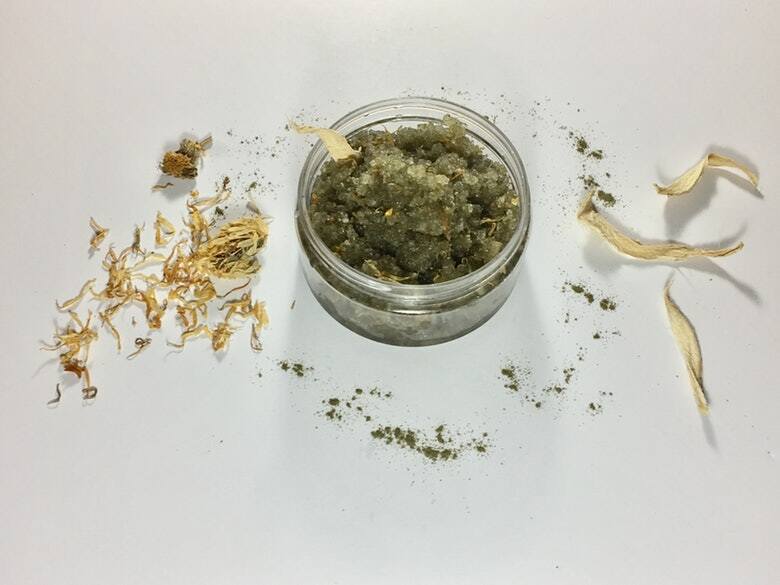 Salt scrubs are crazy effective at removing dead skin through exfoliation. My preferred salt, fleur de sel, is pricy-but-worth-it: Made of fragile salt crystals from the top of the sea, its texture and light aroma are marvelous in a scrub. According to sources at Food and Nutrition, the mineralspresent in dead sea salt can alleviate many skin conditions. The minerals in dead sea salt are the some of the same minerals that make up the human body, including our skin cells. Fleur de sel is considered a moist salt, so it dissolves quickly during cooking, but when applied on moist skin it retains its texture which is great for exfoliating tough skin. 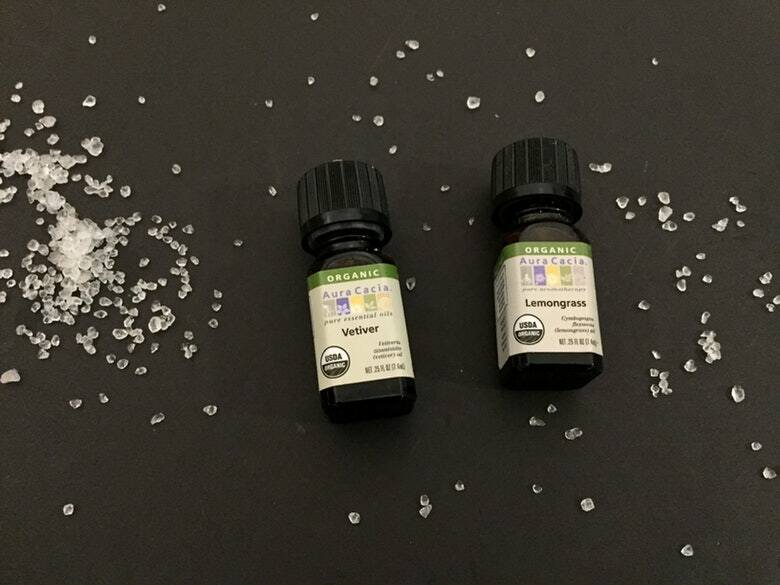 Blend these two salts with your favorite oils and herbs for a spa-like scrub experiencein your own home. Having dry hair and an oily scalp is a beauty catch 22 many of us are familiar with. 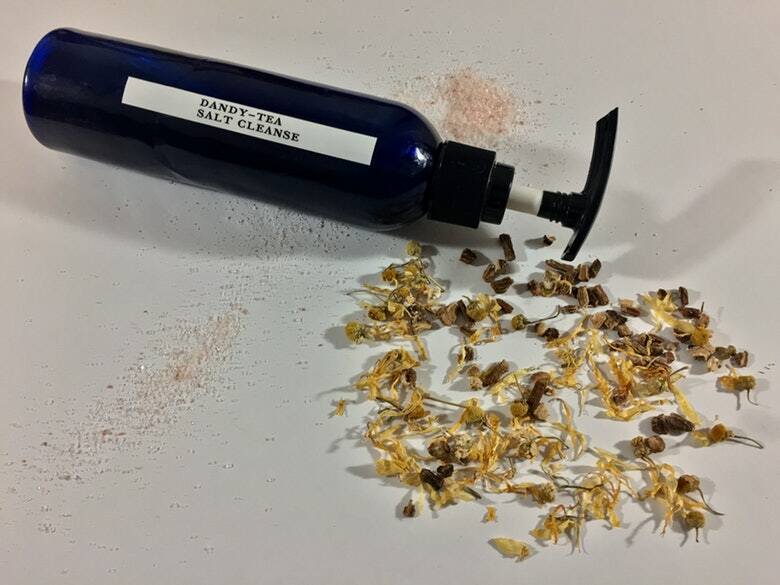 Traditional dry shampoos can sometimes be too harsh for my scalp, but adding salt to a homemade version can help by removing flakes on our scalp and stimulating hair growth. To make this dry shampoo, I chose kosher salt because it is free of preservatives and affordable. I used only atablespoon of the coarse crystals and then diluted with eight ounces of filteredwater. Once cooled, I poured my concoction in a spray bottle and added sageessential oil. Sage is another cleansing ingredient that is known to relieve dry, itchy scalps and, according to this article published in the U.S National Library of Medicine, sage possesses strong antioxidants and antibacterial activities. A perfect duo for cleansing your scalp in between washes. 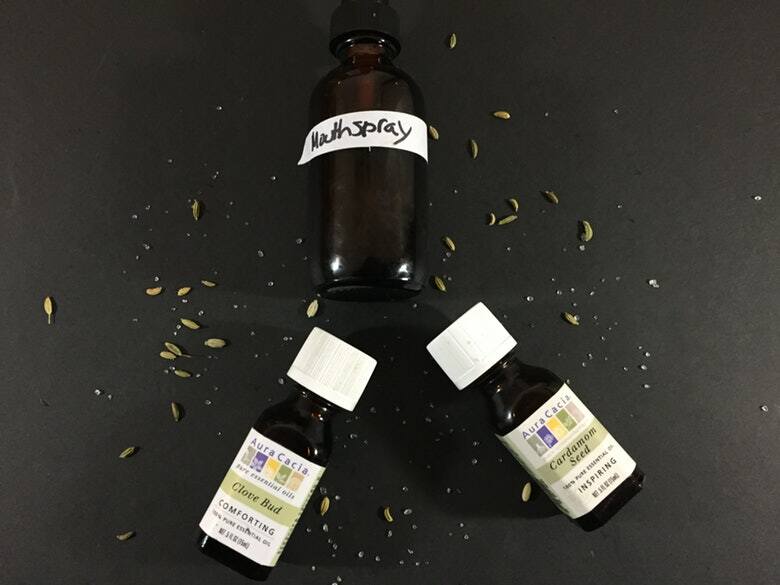 Since sage is a potent essential oil that contains strong monoterpenes like 1,8-cineole, I use only 5-6 drops for the entire bottle. Alternatively, you can use sage’s gentler cousin clary sage which is full of soothing esters. Epsom salt baths are super popular for detoxing and relieving sore muscles. Even though the verdict is still out on whether the pain-relieving benefits of the key ingredient, magnesium sulfate are fact or placebo effect, I’ve spent ample time soaking in an epsom salt bath with essential oils that are known to relieve aches and pains while controlling my oil production. Epsom salt has significant anti-inflammatory activity that can help soothe our skin and, according to Progressive Health, because it’s a hydrated salt, it can draw out moisture of the cells of bacteria which is particularly helpful for those with eczema. Though this saltis often mistaken for only being a drying ingredient when applied topically, the minerals actually help skin restore natural oils and retainhydration when used in the correct doses. As someone who frequents floatation tanks, I can attest to this: Even after 90 minutes in the floating pool (which is 30 percent Epsom salt), my hands are never pruney and my hair doesn’t feel brittle. To recreate a similar experience at home, use two cups of Epsom salt for every gallon of bath water you use to fill your tub. Add some essential oilsto calm the mind and soothe the skin. For most of high school, I was plagued by canker sores, and a sea salt wash always came to the rescue. You may already know that salt is a natural microbial inhibitor used to preserve food, but it also makes for a great treatment for a variety of oral ailments as well. According to this 2016 study published in the Public Library Of Science, a nonprofit specializing in research in science and medicine, salt water is effective in healing wounds in the oral cavity as well as reduce effects of gingivitis and improve overall gum health. Sea salt is made from the evaporation ofseawater largely produced in the Mediterranean with minimal processing,retaining traces of calcium, a mineral essential for strong teeth. Should you find yourself with a canker sore or just want to experience the benefits of salt for oral health in conjunction with your daily oral care, this mouth spray is a great way to get started. 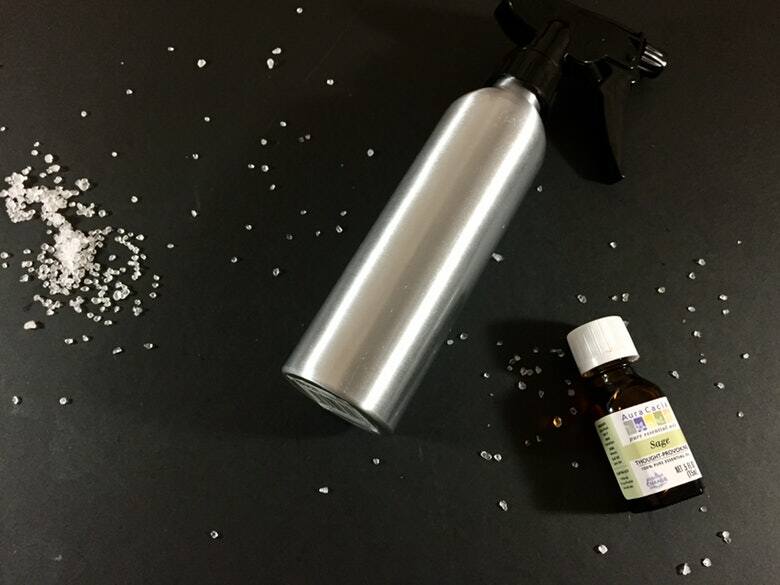 Ina spray bottle, I add a tablespoon of medium-grain salt, fill up with dilutedwater, and essential oils like clove, for its antimicrobial content and lengthy history of relieving pain, or peppermint. Himalayan salt is considered one of the mostpurest salts on earth; According to Medical News Today, the purity of this pink sea salt has merit, even though it isn’t necessarily much healthier than eating regular salt. After being obtained by hand in the HimalayanMountains, it remains uncontaminated making it free of toxins andpollutants. Himalayan saltcontains the full scale of 84 minerals and it’s the presence of elementsand minerals that give Himalayan salt its famous reddish color, but as Harriet Hall points out in this article published in Science Based Medicine, it should be noted that these minerals are present in small amounts just like other salts. While my tug-of-war with hormonal acne has eased over the years,I’ve found keeping my skin clean to be the best way to win the war and Himalayan salt in particular has been great for any mild breakouts. With ateaspoon of fine, Himalayan salt, diluted in one of my favoriteanti-inflammatory teas, I’m able to create an antibacterial cleanser thatsuits my skin and financial needs. Now that you’ve gotten some salty education for your future DIY endeavors, you can make the best choice for your body and wallet.